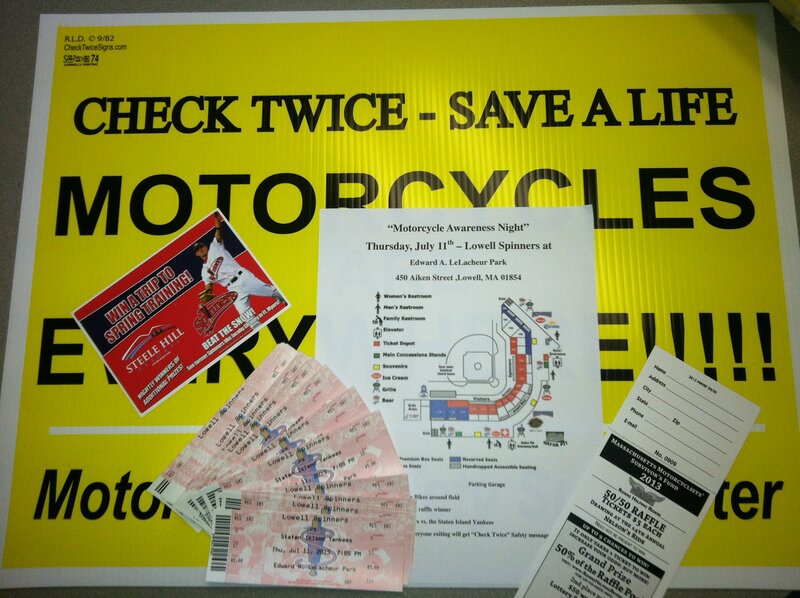 On July 11th, 2013, the MMSF will host “Motorcycle Awareness Night” at the Lowell Spinners‘ baseball game vs. the Staten Island Yankees. Ride your bike around the field before the game and one of our attendees will throw out the first pitch (from raffle drawing) and everyone leaving the ball park will get a motorcycle awareness ‘check twice’ safety message! Click here for a full page printable flyer with the day’s schedule and a map of the ballpark!